The SNP says that it is “entirely a matter for the people of Scotland to decide”. That isn’t true either unless they are proposing, which they are not, to hold a referendum on whether there should be another referendum. Andrew, let me help you, and PAY ATTENTION because I’ll be asking questions later. Whether or not there will be another referendum is up to the people of Scotland. They and they alone will decide that. Capisce? The timing of the referendum within the tenure of the next Scottish Parliament will be decided by the Scottish Parliament. Still not got it, huh? If and only if the SNP manifesto contains a commitment to indyref2, AND the SNP secure another absolute majority at the next Holyrood elections in a proportional voting system, specifically designed to prevent that happening, will there be a second plebiscite. The mandate to hold another referendum on independence will come from the vote of the people of Scotland in their general election, when they return the SNP for a third term, aware that front and centre marked by a blue flashing light, is the pledge to hold indyref2. 2. The timing of the referendum within the tenure of the new parliament will be a matter for the First Minister and ultimately, Scottish Parliament to decide. A majority will be required to pass enabling legislation. It cannot be actioned by fiat. 3. If and only if the People vote for independence in said referendum will Scotland dissolve its union with England and resume its status as an independent country. Now Is there any part of that that you do not understand, Andrew? One of their justifications for this volte-face [on foxhunting vote] was that “hundreds” of the English had begged the SNP’s MPs to use their votes to thwart the government. As excuses go, this was comically hollow. If hundreds of English voters wrote to the SNP demanding that they supported the restoration of capital punishment south of the border, would they oblige them? Hard not to tire of this hackery. The overriding reason for the SNP intervention on foxhunting was the Unionists disgraceful behaviour during the second reading of the Scotland Bill days before, where they never attended the debate, but tripped out of the bars in their hundreds (arm in arm, Labour and Tory) to vote against SNP amendments. Amended legislation for which the SNP had an unambiguous parliamentary mandate from the Scottish electorate. English MPs and the UK Government gave Scotland the middle finger. It became clear that it didn’t matter in the least what the Scottish electorate had voted for, they were going to get the legislation England wanted. It was the exercise of direct Rule from London. When the amendments to this Scotland Bill were defeated the English MPs actually brayed, then returned to the Commons bars until the next vote. They treated Scots as vassals of a vassal state, that comprises the hinterland of England’s inner empire. That was the background and the impetus for the decision to interfere in the foxhunting issue. Now I don’t think Rawnsley is being mendacious, I think he is simply clueless, with a cartoon understanding of the Scottish political dynamic borne of indolence and willful ignorance. This of course inevitably leads to his Mickey Mouse analyses that are frankly, laughable. It never seems to occur to these geniuses to ask themselves why their predictions about the future of the SNP and Scottish nationalism, seldom pan-out. These numpties comprised the brains trust who assured you Blairite Jim Murphy was the guy to sort out the SNP, and that nationalist delight over his appointment as Labour’s branch manager in Scotland, was actually evidence of “separatist” panic and fear. 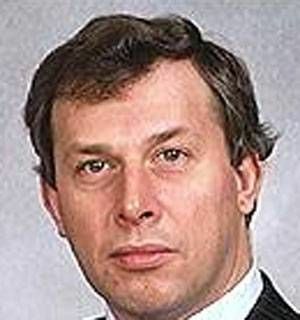 In an article in the Independent, former Conservative MP Michael Brown calls the investigation into the alleged criminal acts of paederasty by the late former Prime Minister, Edward Heath, a witch-hunt. When the Savile accusations and investigation started I thought it a witch hunt. Unsubstantiated allegations and innuendo used to blacken the memory of someone who had done so much to improve the lives of the sick and disabled. Boy, was I wrong. Now it’s hard to find an old broadcast of Top of the Pops that isn’t hosted by or that does not otherwise feature, a convicted peodophile or paederast. It is vital this canker at the heart of the political-glitterati establishment be fully exposed, then excised. No rock under which these crawling things may be hiding should be left unturned. The priority should be the exposure and conviction of the still-living but the dead, at least their reputation, should not escape judgement either. Perhaps even more important for the health of the polity is the arrest, trial, and conviction, of the enablers without whom these rapists could not have operated. They are accessories before and after the fact, and should be held to be criminal co-conspirators who bear the same guilt and liability as the perpetrators themselves. Those children (now adults) who suffered these unendurable assaults should as a matter of automatic right, be entitled to substantial punitive damages from the estates of those who directly destroyed their young lives, AND from those who knew of the crimes committed against them but did nothing, or worse, actively participated in a cover-up of the truth. There should be no nook or cranny deemed off-limits in getting to the truth. This is a can of worms that as a matter of disease control and for the health of society, needs to be cut open and the morbidity that dwelleth therein, eradicated. The SNP ground Labour to powder last night in the five by-elections. 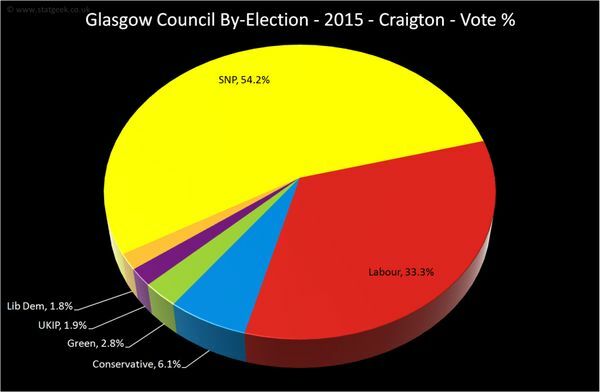 SNP candidates won with an average of more than 50% of the vote. In other news Corbyn just threw Scotland’s Labour apparatchiks under the bus. He says he will do deal with the SNP . There’s now zero incentive for Scots to vote Labour for Westminster or Holyrood. 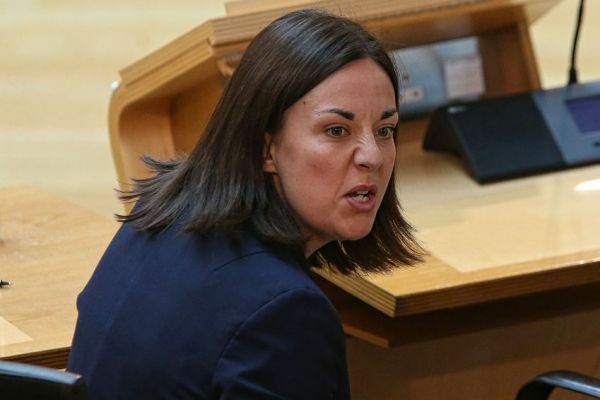 Scottish Labour’s meltdown continues unabated. There are two requirements to deliver independence. 2. A majority voting YES in that referendum. You need BOTH of these. On their own each is necessary but not sufficient. If there is no commitment to action a referendum on independence in the manifesto, the SNP government will have no mandate to call one. By omitting a pledge to hold a referendum in their manifesto, the SNP precludes a referendum for at least the life of the next Scottish Parliament, no matter if they form the government or not. Unless they’re planning to have a referendum-on-holding-a-referendum on independence when the time is right (i.e. when the chances of a majority YES vote are as good as they’re ever going to get). I’m only halfway joking here. There HAS to be a clear commitment to a referendum on independence in the SNP manifesto to effect an unchallengeable mandate. Everyone knows this. If the SNP meet or exceed their performance of 2011 and form another majority government after nine years of incumbency, it will be a remarkable achievement. The probability that the stars will align to do it a third time in 2021 after fourteen years as the government in a proportional voting system are not good. Of course the caution demonstrated by Sturgeon is no doubt fueled by private polling showing no clear majority for independence, the latest Ipsos-Mori poll notwithstanding. Public polling data meta analysis suggests it’s about 50/50. Polls have since the referendum (sans don’t knows) have been bobbling about, exhibiting a Brownian Motion of about two points either way. What we can say for definite is that there has been at least a sustained 3.5% swing to YES since the referendum. 75% of those 65 and over voted NO. That original cohort is of course going to continue to shrink. Their replacements, polls indicate, are far more YES friendly. Timing wise, the virtue of a limited-duration official campaign is clear. We know all the arguments. All a long campaign would do would be to help enable Project Fear 3.0. The more time they have to carpet-bomb the electorate the better it will be for them. We are never going to go into any independence campaign, certain of the outcome. There will always be risks. The greatest risk would be to bottle it, kick it into the long grass till after 2021. We have a perfect storm right now where the SNP dominates Scottish politics completely, we have the most right wing Tory government in modern history, implementing draconian legislation designed to crush the will of the working class. We don’t know how things will look in 2021. We must act with a clear pledge to hold a plebiscite sometime in the life on the next parliament (Holyrood). Appalling piece of yellow journalism by Paul Hutcheon in today’s Herald. An entirely unsourced narrative claiming SNP candidate selection discrimination, cronyism and backstabbing, against Vincent Waters, the former agent of East Renfrewshire SNP MP, Kirsten Oswald . The subject of the article, Mr Waters (who was an applicant for selection as an SNP candidate in the forthcoming Holyrood elections), was never interviewed. There is not a single source cited. The headline (see photo) is misleading hyperbole. The man was a constituency agent and every candidate thanks their agent and their team in their acceptance speech. There is no evidence he was a “mastermind” yet the description appears in the article as well as in the headline. 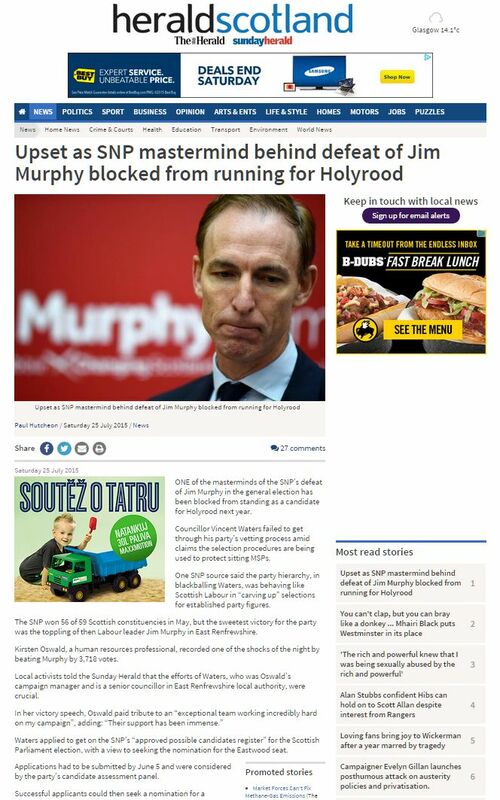 The ousting of Jim Murphy was anything but “a shock” by polling day, it was expected. His loss was par for the course on the day. In Hutcheon’s article, Oswald is quoted saying:”… [she had an] exceptional team working incredibly hard on my campaign”, adding: “Their support has been immense“. Nowhere does she call her agent a mastermind or the mastermind. In fact, on the evidence presented, it’s noticeable she doesn’t seem to mention him by name at all. If no one did use the term why is it used in the headline and in the article? It seems to be there for one reason: to buttress the otherwise airless, confected narrative of SNP favouritism and backstabbing. Why doesn’t Hutcheon include even a single verifiable source? Who is the complainant? No evidence it’s the agent apparently, since Paul did not even speak to him. Ms. Oswald’s agent in the Westminster parliamentary elections failed to make the cut for selection as an SNP candidate for the 2016 Holyrood elections. That is the only substantive verifiable fact given in the entire article. There is absolutely nothing that would separate this article by Hutcheon from a piece of fiction.